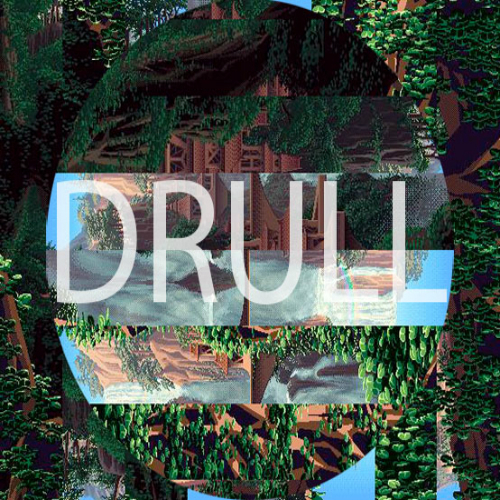 Following the release of their previous singles, “City of July” and “Trapdoor Coda“, back in March and April respectively, Philadelphia production duo, Drull have just released a new double A-side single, ‘Last Train To Aberdeen / Star Boy’. “‘Last Train To Aberdeen” is a chilled slice of downtempo electronica. A melodic, instrumental collage of organs, pads and swells, the track is backed by smooth R&B beats via what sounds like a Roland TR-808 drum machine. Interestingly, the song’s melody comes via its panpipes, which contrast against its electronic elements. Cool stuff. The flip-side, “Star Boy” is actually the superior track. A brilliant and truly creative future garage track, over the course of it’s 3:36, “Star Boy” changes many a character while maintaining an up-tempo energy thus ensuring this one gets your body moving. This track is sure to appeal to fans of Flume with its glitchy beats, pumping saw-synths, atmospheric arpeggios, and electronic warpings. Highly impressive. Drull are quickly developing quite the collection of songs showing much variation, creativity and lots of promise. Here’s hoping for more.